Put the scales on the floor in front of you. Keep one foot firmly on the floor, and use the big toe on your other foot to press down gently on the scales. It will give you an 'awesomeness' reading. Speaking of awesome...I live or die by this 2-week diet plan. Lol, the refrigerator is the enemy. You could try to keep the hunger off and lose weight too with this tea. Do you want to make your life normal again? If yes then this is the real product for you! check it out it's not magic but actually facts to loss your weight.its a pure cure to became your life happy and healthy. so, long time, so long that your post got responded to mostly by spammers. I hope you will be back soon, in top form. If not, kiss the puppies for me and take care. Do you want to lose weight without going to the gym and doing those exhausting workout that usually take time to show. Well not any more, cause here is the single and most effective way to lose the unwanted belly fat. Haha nice! Now this song is going to in my head all day. Thanks I needed a good laugh today. I'v also been looking into this African red tea that resets the metabolism and gets rid of toxins in the body. I'll leave a link before if anyone wants to check it out. This was super funny! But a great way to get rid of that girth is the detox!! 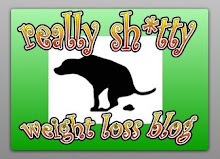 Through the years, so many weight loss blogs have come and gone. Sometimes I see the newbies, all fired up and determined that they will never regain. And I wish I had that kind of ignorant bliss again. I struggle, but I will never give up. wow,there is a lot of nice content here!! This is hilarious, funniest blog ever! Skinny people have more fun... And...Losing weight is actually fun!! Try this Red Tea to detox your body and have fun being Slim!!! click on the link https://bit.ly/2EZpndF and start having a great time! Hahaha, absolutely my favorite. Loosing weight can be challenging sometimes.However, with this program I found it easy to reach my goal to become a better version of myself. I really encourage you to check it out, you will not be disappointed. Good fortune in everything! Jack - love comic relief! At the place I work, this year we had a "Biggest Looser" contest for the first 3 months and found many of these items to help me take 2nd place in the contest. The combination of not drinking soda, exercising more frequently, reducing snacks, reducing my bread intake, and paying attention to the scale all worked in my favor. I also found myself looking for replacement drinks like tea, and carbonated water to replace the soda drinks. Among simply choosing the "soda" option on the soda fountain or trying red tea like the one below, the results were energizing. Thank you for the inspiration. Jack, come back! We need you out here in blogland. Sing us a new song?? Consider checking this diet. You will not be disappointed.I tried it myself and I have seen a very significant change in my body. You are missed! Come back, Jack! This is an amazing post which is so clear. I think this article easy to understand that reader could get useful information and learn lots of things. Get Best Anti Adware. Also read about packers and movers in Salt Lake. This diet has an amazing results, I only used it for 2 weeks. And I have seen a very significant reduction in my belly fat. I found this amazing program that will definitely help you lose the unwanted belly fat. Good luck! Thanks for the humor and for brightening up my day. I myself struggled with weight loss and I found this great new program that I think will help you guys and that other people have had success with. Just try this and tell me what you guys think. Best weight loss program out there. Please make sure to check it out, you won't be disappointed. Good fortune! Hey Jack, this will get rid of the belly fat! What we need is a healthy approach as a lifestyle. Clean-up our body and be careful what we put into it. Yes, we finally get back to a routine. It was a long hot Summer, but I managed to keep most of the pounds. I hope I can benefit from your content and the feedback of others. I did start a weight loss program that a friend was doing. I’m down 11 pounds and 2 sizes, and I’ve only been drinking this amazing tea for 14 days. I'm having success losing belly fat with this... http://bit.ly/2MTg6bS Burn fat and curb that appetite. So what do you think about all these different products like this? https://bit.ly/2NzV063 all placebo's or is there any merit to them? Jack always keeping it fun and effective! Thanks buddy. Guys you can also check out this natural tea. It has done WONDERS for so many people including me. Just copy and paste the url below into your browser. Thanks for sharing so nonetheless. Here's something I wrote a post about losing weight with exercising one can do at home, I hope you'll find value and benefit from. Fat belly and obesity, are silent killers. It’s very difficult to follow a specific program because there is no universal program. As a nutritionist, I recommend caution. Some fitness programs are difficult. They must be ignored because they consume our time and our energy. Some programs are easy, and they give more results. For those who are interested to loss weight, I really recommend using the Fat Decimator. My sister is using it and she is really happy with the result!